Dethmann studied jurisprudence and state science at the University of Heidelberg since 1915 and moved later to Cologne, where he Joint an intellectual circile around Doemmer and Blunck in 1917. Dethmann got engaged in the early KAPD communist Party, but stopped political activities in 1922, when he started his carreer at Eisenhuettenwerke in Keula. Dr. Adolf Dethmann joint Junkers in April 1929, where he met his former fellows Blunck and Doemmer. Dethmann started at the Junkers Hauptbuero and became private assistant of Hugo Junkers. He became managing director of Junkers & Co in December 1931 after Hugo Junkers had released the former directors Sachsenberg and Kaumann. In November 1932 Dethamnn was appointed as the General Manager of the Overall Junkers consortium by Hugo Junkers. When the Nazis won the election of 1933, Dethman was arrested with reference to his former communist activities in March 1933. He was later released, but Dethmann was not allowed to work further for the Junkers Company. He was even not allowed to stay in the City of Dessau. 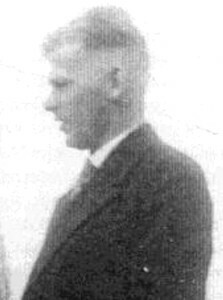 Von Doepp's brother Alexander was also engaged at the Junkers Research Institute in Aachen from 1912 to 1913, when he worked on questions of oil engines. Ottfried von Dewitz was Born in Neustrelitz in 1892. In 1912 he Joint the German Navy.  After WWI he studied economics, but he was also engaged in the test of seaplanes and Joint the Deutsche Versuchsanstalt fur Luftfahrt DVL in 1926, where he became a member of the board of directors. In 1929 von Dewitz Joint the Junkers Company, where he became member of the IFA board of directors in April 1936. He left the board in November 1937. von Dewitz remained active for the Junkers Company in South Africa until 1939, when he Joint the Luftwaffe. 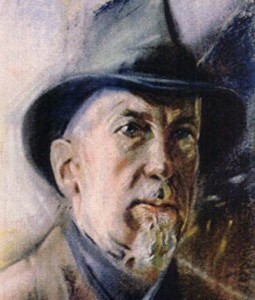 After WWII von Dewitz lived in Eastern Germany and was arrested by the Soviets between 1948 and 1955. Later von Dewitz worked as insurance agency. Dresel belonged to the Fliegertruppe during WWI. In 1919 he started his studies at Bingen, later he became technical assistant at Siemens and Halske. In May 1924 he joint Junkers Flugzeugwerke, where he became marketing assistant. In 1931 he is appointed as the marketing manager of Junkers, in 1935 he became the public relation manager of Junkers. In 1939 Dresel became responsible for the switch over of the Volkswagenwerk in Wolfsburg for aircraft production. Later during the war Dresel became also the Technical Director of the Wiener-Neustädter Flugzeugwerke. After WWII Dresel settled at Kassel and took over several marketing positions there. Friedrich Droemmer visited the Weimar Artificial Highschool until 1915. After WWI he worked at the Bauhaus in Weimar, in Kiel, Aachen and Frankfurt. At Munich he met Herta Junkers and got into contact with Hugo Junkers. In June 1923 he joint the Junkers Main Office. At the PR Office of Junkers he designed the Junkers marketing logo of the "Flying Man" in 1924. Droemmer also worked on the interior design of Junkers aircraft as well as on Junkeres Metal Houses and Metal Furnitures. Droemmer had also good private connections to the Junkers family and was highly accepted with Junkers. In September 1927 he brought Richard Blunck to Junkers and in April 1929 he asked Adolf Dethmann to join the company. Still in June 1933 Droemmer brought Heinrich Ehmsen to Junkers. Therefore Droemmer was mostly responsible for the marketing developement of Junkers Flugzeugwerke until 1933. In 1933 he was arrested by the Gestapo, but was shortly afterwards released again. He married Annelise Junkers and left Germany together with her for Italy. In 1935 he returned to Germany and designed other industry logos, i.e. the Magirus Deutz logo. Julius Eggers studied Engineering at the Technikum in Chemnitz. He worked as a constructing engineer at the Schichauwerft at Kiel and the Oderwerke in Stettin. In 1906 Eggers became Oberingenieur at the Hamburg-Amerika-Line and in 1908 he became Deputy Technical Director. In 1914 Eggers moved to Schmidt Heissdamppf Gesellschaft in Cassel as the companies General Director. In 1917 he joint the supervisory board of Junkers Flugzeugwerke, where he became chairman in October 1917. After selling the Junkers shares in December 1918, HAPAG left the supervisory board. Eichholtz was member of the construction office in the late 30s. He was engaged in the development of the Junkers EF77 airliner. During WWII Eichholtz continued his work on the Junkers Ju252. He was also the responsible type manager for the Junkers Ju90/290 during WWII. In 1946 he went to France and a joint a position at SNECMA, where he worked on questions regarding engine inlets and jet engine designs. Eichler was member of the construction office in the early 30s. Together with Pohlmann. Eichler was engaged in the development of the Junkers Ju60 airliner. Helmuth Eimer was the managing director of Fahrzeugfabrik Anspach since 1919. 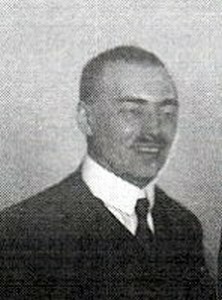 He joint Junkers Flugzeugwerke in February 1928 and became responsible for legal questions regarding foreign Junkers cooperations. He was engaged in the dissolvement of the Turkish Tomtas engagement, as well as for the Mitsubishi license contracts. In 1932 Eimer left Junkers Flugzeugwerke following the disputes in the top management area. Victor Entler joint the Research Laboratories of Junkers at Dessau in March 1917. He designed an undesignated aircraft (Drawing No. 1160 of May 1917). But already in 1918 he moved to the Klemm team at Daimler and in 1921 he worked with Sablatnig GmbH in Berlin. In November 1921 Entler founded his own aircraft facility, the Entler Flugzeugbau GmbH, where he designed the Entler E-II sport aircraft in 1922. Kurt Erfurth joint Junkers + Co. in April 1913 at the Research Institute in Dessau. In February 1915 he joint the construction office and participated in the Junkers J1 developement. In 1916 he was engaged in the Junkers J7 center section developement and in 1919 he also participated in the Junkers F13 design. 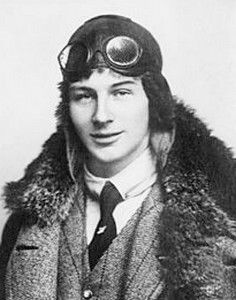 He also participated in the high altitude world record flight of the F13 in September 1919. From 1919 to 1926 he performed an engineering study at Junkers and since 1926 he was mainly engaged in the aircraft engine designs. In May 1942 Erfurth became chief engineer at Junkers Motorenwerke and was the responsible developement engineer of the Jumo 210, 211, 213. After WWII Erfurth was evacuated by the U.S. troops from Dessau and sent to the U.S.A., where he worked at the Aeronautical Research Laboratories at Dayton until 1965. 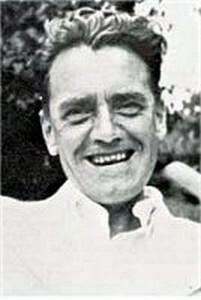 Erfurth died in 1975 in North Carolina. Kurt Erfurth should not be taken as the WWI Pilot Kurt Erfurth, who was Born in 1893 and killed in Mission in 1918. Evers was born in Lamstedt, Germany and went to the USA when being 17 year old to learn a profession in the young automobile industry. He met Glenn Curtiss there and watched one of his first motor flights. He returned to Germany in 1910 to establish in 1912 his own aircraft company "Nordwestdeutsche Flugzeugwerke, Evers & Co., GmbH". His company filed for bankruptcy the next year and Evers went back to USA to join the Benoist Aircraft Company in St. Petersburg/Florida. Evers tried to return to Germany with the beginning of the First World War, but was interned by the french marine. 1917 he fled via Switzerland to Germany. He worked for the "Hanseatische Flugzeugwerke" until 1924 and returned to the USA again to join the Fokker Aircraft Corporation. There he worked as a test pilot and in construction. In 1935 he joined JFM on request of Koppenberg. Evers assisted Zindel in the detailled design questions of the Junkers Ju88. Later he took over positions in the production plant. Evers was evacuated from Dessau by american troops and returned to his birth town Lamstedt, Germany. Hermann Fessler joint Junkers Flugzeugwerke in July 1923. He worked as an engineer and was killed during the Ju90 crash D-AIVI at Bathurst in November 1938. Ritter Fiala von Fernbrugg studied aircraft and automobile technologies at the Vienna Highschool between 1908 to 1913. In 1914 he joint JaSta 51 and became commanding officer of the Experimental Flight Unit. In 1919 he became commander of the Aspen Airfield near Vienna and in 1921 he was manager of the Moewe Werft at Aspen. He joint Junkers Luftverkehr in August 1925 as the manager of the Junkers maintenance facility at Fuerth, but due to the merger of Junkers Luftverkehr with DAL, in November 1925 Fiala moved to Warsaw and took over the maintenance facility of PLL Aerolot until 1927. In March 1927 Fiala became engineer at the PR Office of Junkers Flugzeugwerke and later he joint the Main Office of Junkers Flugzeugwerke. He was engaged at Mitsubishi in Japan, where he introduced the all-metal aircraft designs. In March 1933 Fiala was arrested by Gestapo, but released after 3 days. Fiala left Germany and returned to Austria, where he founded the Wiener-Neustädter Flughafenbetriebs GmbH. During WWII Fiala Joint the German Air Force and finally was the commander of the airfield of Hörsching. 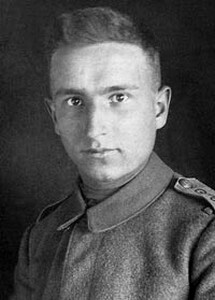 Fischer von Poturzyn was member of the Theresianische Militärakademie in Wiener Neustadt in 1914 and became an Oberleutnant of the Austrain Army during WWI. Post War von Poturzyn Joint the Vuna AG in Zagreb, where he was responsible for the Import of non textile products. Fischer von Poturzyn was married with Marga Kaumanns, the daughter of Franz Kaumanns. 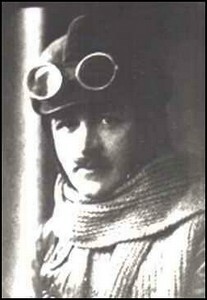 In April 1922 he joint Junkers Luftverkehr as a salesman in Serbia. In 1923 he went to Dessau and became the press manager of Junkers Luftverkehr. In 1926 he continued his press function at Junkers Motorenwerke. Later he worked exclusively for Prof. Junkers. In November 1933 Poturzyn seperated from Junkers and contracted with the Junkers Flugzeugwerke AG, where he became Head of the News Department and later assistant of Heinrich Koppenberg. After WWII Fischer von Poturzyn moved to Milano in Italy. Fischer von Poturzyn wrote a lot of aviation books during the thirties. He has also developed the name "Luft Hansa" during his period with Junkers Luftverkehr. Alfred Fischer was member of the German Navy Seaflying Unit during WWI. He joint Junkers Flugzeugwerke in 1924 and became an operational engineer of Junkers Luftverkehr. Since 1924 he was the manager of the Junkers Maintenance Facilities at Konigsberg. In 1928 he changed to the Junkers Maintenance Facilities in Vienna and in 1929 he was responsible for the setup of the Junkers Maintenance Facilities in Leipzig. he left Junkers in June 1932 and became technical director of Deruluft in Russia. Later he returned to Germany and became the operational manager of the RLM Test Facilities at Rechlin. 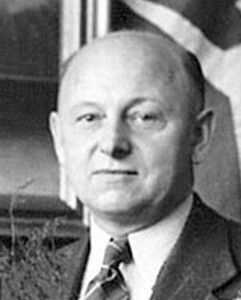 Adrian Flormann was the financial managing director of AB Flygindustri at Malmo since 1925, which was founded with the support of Hugo Junkers. A lot of Dessau built Junkers aircraft were ferried to Flygindustri and were converted with stronger engines or to military versions, which were not allowed to built in Germany. In 1931 Adrian Flormann left AB Flygindustri and started a new carreer at the Gotia Ensurance company. 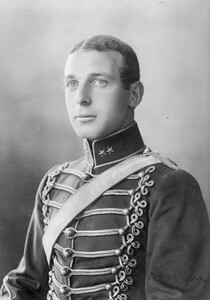 Carl Florman was a Swedish Army pilot. He became the first managing director of A.B. Aerotransport at Malmo since 1924. This airline was part of the Junkers Luftverkehr and belonged to the Europa Union. When Junkers Luftverkehr merged with Deutscher Aero Lloyd into Lufthansa in 1926, A.B. 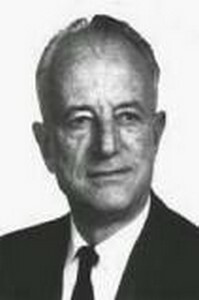 Aerotransport remained independent under the leadership of Carl Florman. Anthony Fokker founded his first aircraft company in 1912 at Berlin Johannisthal, but already in 1913 this company was transfered to Sweden. Since the beginning of WWI Fokker designed several fighter aircraft at his Flugzeugwaffen Fabrik Anthony Fokker at Berlin Reinickendorf. During the final phase of WW I, the IDFLIEG tried to merge the successfull Fokker Flugzeugwerke and the innovative Junkers & Co. facilities. Both companies were merged into the Junkers-Fokker A.G. in September 1917 and Anthony Fokker and Hugo Junkers both became managing directors of this company, where Fokker was responsible for the priniciple military worthiness of the designs, while Junkers was responsible for the innovative studies. During the end of WW I both seperated from each other and Junkers founded the Junkers Flugzeugwerke A.G., while Fokker escaped to the Netherlands, where he founded the Fokker A.G. The Schwerin based Fokker facilities were sold in Februar 1921. Fokker went to the U.S.A. in 1922 and founded the Fokker Aircraft Corporation America. Hayo Folkerts joint Hugo Junkers in 1909 as his private assistent. 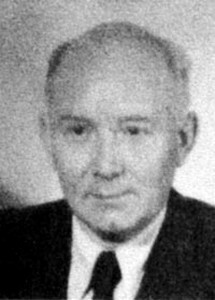 He was responsible for the engine laboratories of Hugo Junkers Later Dr. Hayo Folkerts was the managing engineer of the department for ship engine designs at the Versuchsanstalt Prof. Junkers. Hajo Folkerts son Hajo later became a son-in-law of Hugo Junkers, when he married Ruth Junkers. He was the Managing director of the LUFTFRAKO Air Express GmbH in the early 30s and the flying organization "Die Deutsche Jugend"
Fraenkel was born in Russia. Abraham Fraenkel was an engineer at the Technikum at Coethen. In September 1914 he was arrested due to high treason. When being released in Nov. 1915, he was advised to join Junkers and Co. Here he was busy within the aircraft construction team. He left Junkers in October 1922. Dr. Anselm Franz studied at the Technical University of Graz and earned his doctor degree at the University of Berlin. After his studies he worked at a small company in Berlin, which developed hydraulic torque converters, before he joint Junkers Flugzeugwerke in 1936. In 1939 He became the head of the predevelopment departement of the Junkers engine departement until 1942. He was responsible for the development of the first Junkers jet engine, the Junkers Jumo 004. 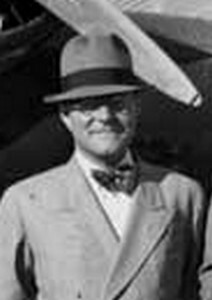 After WWII he went to the U.S.A. and became vice president of the Avco Lycoming Division. Josef Freckmann Joint Junkers in 1937 and worked in the Flight Controls Department. He was responsible for development of tail Units and rudders. Since 1940 Freckmann was engaged at the Junkers Office in Prague, where he worked on the Ju290. In 1946 Freckmann was sent to OKB-I in Podberesje, where he worked on the EF150 controls. In 1954 he Joint VEB Flugzeugbau Dresden, where he became head of the Flight Controls Department until 1961. Otto Frenzl studied electro technics at the Technical Highschool of Graz and Joint Junkers in 1937. He worked at the Doepp Laboratories and built the high Speed windchannel HK900. In Muldenstein Frenzl developed the Ejector Windchannel M3 in 1944. 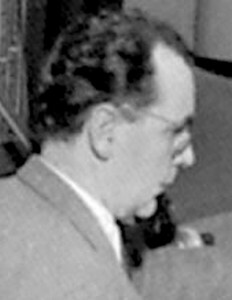 Fritz Freundel studied Engineering at Mittweida. He Joint the JFAG in September 1921 and became a member of the construction Office. Freundel became Manager of the construction Office for wings, tails, undercarriage in 1923. Freundel was member of the construction office at Junkers Flugzeugbau since the early 20s. He was responsible for the tail unit design of the Junkers J21 built for Russia and the Junkers G24. He was responsible for most of the wing and tail designs of all Junkers aircraft until 1940. In 1946 Freundel was sent to Russia, where he Joint the Baade Team and designed the wings for the EF132 and EF150. In 1954 he returned from Russia to the GDR, where he became Technical Director of the VEB Flugzeugbau Dresden and Joint the Baade 152 design. 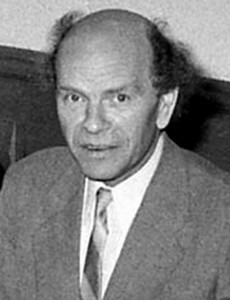 Fritz Freytag studied aviation engineering at the Polytechnicum at Bad Frankenhausen. In 1929 he joint the Albatros Werke in Berlin Johannisthal and participated in the construction of the Albators L101. In 1930 he became experimental engineer at the AVA Goettingen. He joint Junkers in 1936 and participated in the high altitude developement of the Junkers Ju86R, the Mistel projects and finally on the Junkers Ju287 design. Since 1939 Freytag was Manager of the Project Office at JFM. 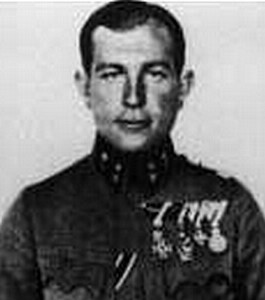 In 1946 Freytag was sent to Podberesja Russia by the Soviets, where Baade and he designed the EF131, 132, 130 and 150. In 1954 he returned to Dresden, where he became the technical director and chief design engineer of Flugzeugwerke Dresden. In 1960 Freytag moved to West Germany and joint Weser Flugzeugbau. He became Manager of the Transall Programme in 1965 and VFW Director in 1968. In 1973 Fritz Freytag retired and died on 13th October 1975. 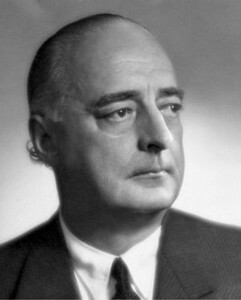 Hans Frieseke became member of the IFM board of directors in July 1936. He left the board in June 1939. In 1939 together with Friedrich Hoepfner, Frieseke founded the Geraetebau GmbH in Berlin Babelsberg, which produced Cinema projectors. After WWII the Company was transfered to Erlangen.